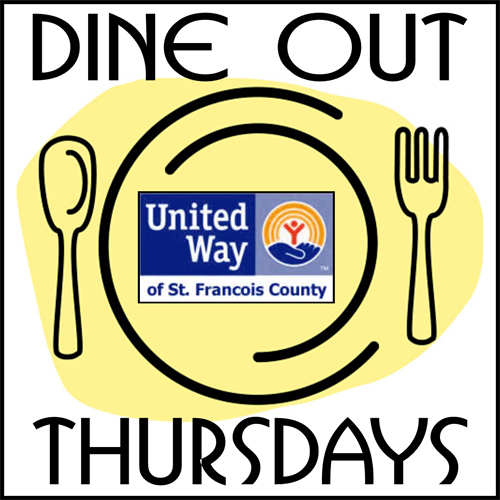 A portion of the cost of your meal will be donated to the United Way of St. Francois County. Find the United Way Online! When you dine out at McDonald's: Both Farmington Locations on Thursday, October 11, 2018, a portion of the cost of your meal goes to the United Way of St. Francois County. You pay nothing extra! This applies to all meals purchased throughout the day on "Dine Out" day! The United Way awards thousands of dollars in grants each year to help meet human needs in St. Francois County! Found out more about the United Way on our web at www.unitedwayofsfc.org. And be sure to "Like us on Facebook"!